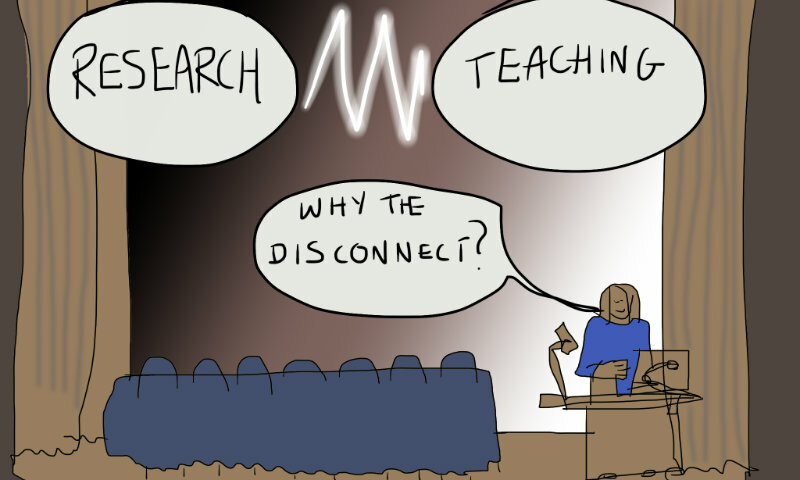 UCL Teaching and Learning: International conference hosted by UCL explores challenges and opportunities for contemporary higher education around the world through three days of symposia, panel events, workshops & presentations. More than 300 delegates from 18 countries attended the conference, Connecting Higher Education. The conference programme was co-developed by UCL, McMaster University (Canada) and the University of Adelaide (Australia). Professor Dilly Fung, Academic Director of UCL Arena Centre for Research-based Education, opened the conference by calling for the removal of traditional barriers - between research and student education, community and university and between disciplines. She drew attention to the changing status of teaching in higher education around the world, the ways in which scholarly knowledge can connect meaningfully with local and wider communities, the incorporation of global citizenship into the curriculum and the rebalancing of the relationships between academics and students. At a panel event chaired by Professor Simone Buitendijk, Vice-Provost for Education at Imperial, the panellists from McMaster, Adelaide and UCL, including Provost and President Michael Arthur, identified the main challenges for higher education in the 21st century, and suggested solutions too. From how to pay for rapid growth in HE participation, to valuing education as much as research; from increasing career-readiness among students and evaluating experiential learning to transitioning to a learner-driven model of education. There was also discussion of the threats posed by the resurgence of nationalism and isolationism. Diana Beech, Director of Policy and Advocacy at the Higher Education Policy Institute, called for the sector to continue to be a beacon of internationalism, while Professor Buitendijk warned against universities becoming too inward looking, urging them to remember their role in developing the next generation of global citizens and global leaders. Dilly Fung’s new book, A Connected Curriculum for Higher Education, was formally launched at a networking event during the conference. The book, which sets out the transformational potential of new forms of research-based education, has been downloaded from UCL Press 1646 times, in 76 countries, in the three weeks since it was published. Image caption: One of the 'doodles' created by artist Eve Turner-Lee which were displayed in 'real-time' during the conference through her YouTube channel.